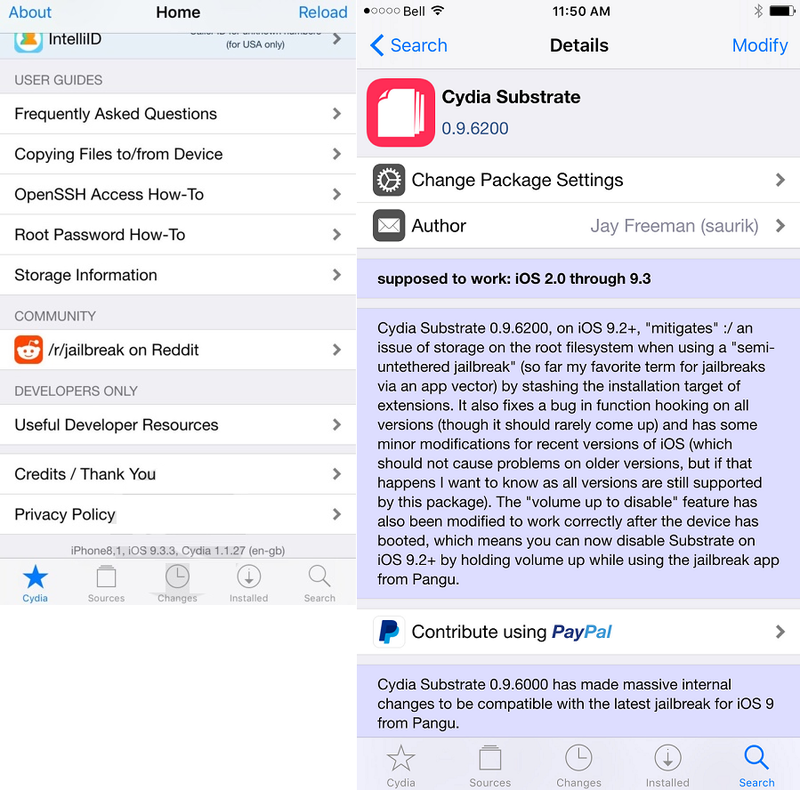 If you're Jailbroken iPhone, iPad and iPod Touch device user, then you must be aware of the Importance of Cydia Application, developed by "Jay Freeman" a.k.a. "Saurik" for iOS-Jailbreak community. Cydia Installer Package is not available via Apple's App Store, nor on iTunes software. 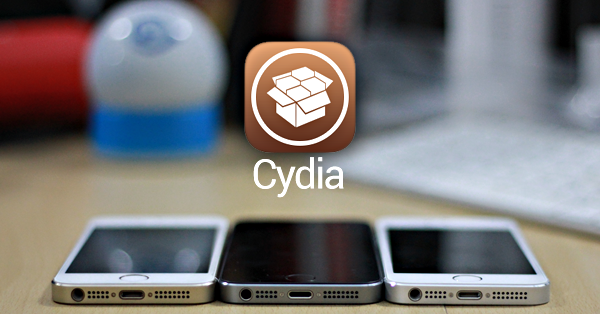 Cydia can only be installed on iPhone, iPad and iPod Touch devices using any "Jailbreak Tool" such as; CoolStar Electra, TaiG, PanGu, 25PP, Yalu + Mach_Portal, Evasi0n or Redsn0w etc. If you're already running Jailbroken iOS Firmware on iPhone XS Max, iPhone XS, iPhone XR, iPhone X, iPhone 8 Plus, iPhone 8, iPhone 7 Plus, iPhone 7, iPhone SE, iPhone 6S Plus, iPhone 6S, iPhone 6 Plus, iPhone 6, iPhone 5S, iPhone 5C, iPhone 5, iPhone 4S, iPad Pro, iPad Mini 4, iPad Mini 3, iPad Mini 2, iPad Mini, iPad Air 4, iPad Air 3, iPad Air 2, iPad Air, iPad 4, iPad 2, iPod Touch 6 and iPod Touch 5 devices, then you can Manually Download Cydia Application Installer Package .DEB File Free via Direct Links for Manual Installation on iPhone, iPad and iPod Touch Running iOS Firmware. For those users who don't know much about Cydia, Basically, Cydia is a third-party application and its a best available alternative to Apple's App Store but only for "Jailbroken iOS Devices". 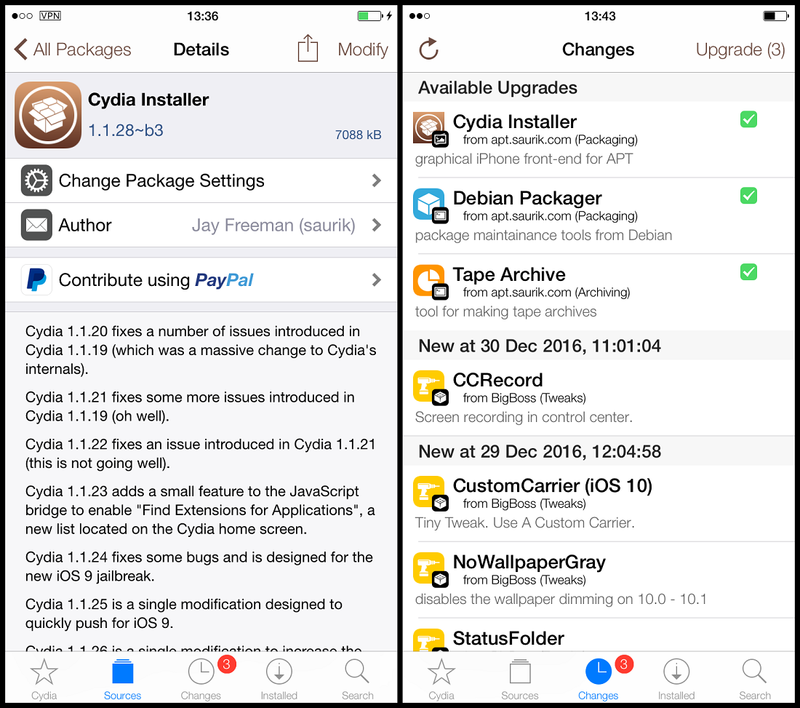 Cydia enables iPhone, iPad and iPod Touch users to find and install iOS Jailbreak Tweaks, Applications, Utilities and Software Packages, which are unavailable on the Apple's App Store using Advanced Packaging Tool (APT) repositories. While using Cydia, Jailbroken iOS device users can still be able to buy and download apps normally from the official Apple's App Store. Many Cydia Apps are free, but some requires little amount too. Cydia is available in thirteen different multiple languages i.e. English, Arabic, Spanish, Chinese, French, Italian, Hebrew, Vietnamese, Dutch, Greek, German, Polish, Swedish. Below you will get the Official Direct Download Links of Cydia Application Installer Package .DEB File for Free and Guide and Tutorial on How to Manually Install Cydia Application Installer Package on Jailbroken iPhone, iPad and iPod Touch devices. We are sharing three different working method, guide and tutorial for Manual Cydia Installer Package Installation below. Step 1: First, SSH into iPhone -- using Cyberduck (for Mac OS X) and Bitvise Tunnelier (for Windows). Step 3: Your installation will be started. Just wait few minutes for completion. You're done! SSH your iPhone and go to /var/root/Media/Cydia/Autoinstall and then, Copy Cydia .DEB File in said directory and Reboot your iPhone, iPad and iPod Touch device. First open Cydia Application on your iOS device, you will be prompted to install the "Essential Upgrades", just click on the "Complete Upgrades" option to install Cydia successfully. The current updated version of Cydia for iPhone, iPad and iPod Touch includes lots of new features, functionality, elements, reorganized user-interface (UI), bug fixes and new styled icons.